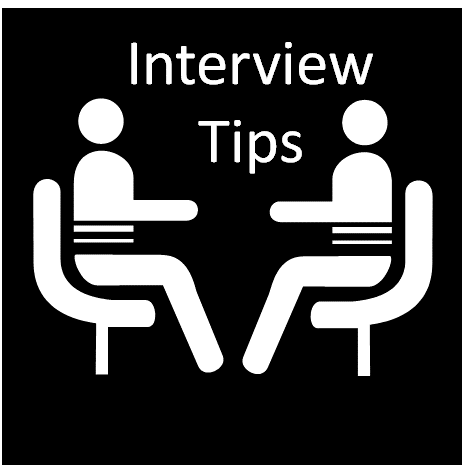 Interviews make us nervous and it can be said that nobody is ever hundred percent ready to face an interview. There are always surprises and shocks along the way. But with little preparations you can nail an interview. The preparations start with understanding and then using phrases and vocabulary that helps you establish a great impression. Today, let us share our opinion on how to succeed in an interview. At a job interview, you will be judged on everything,right from the moment you step foot on company property until the moment you leave. Greetings play an important role in creating the first impression. The interviewer will assess you by the way you greet him/her. It is best not to go casual and say 'Hi'.You should start with something cordial and formal like 'pleasure to meet you' or a simple, ‘hello’ or ‘good morning’. This may be followed by the interviewer asking you, ‘how are you?’ Instead, of a boring reply like, ‘I am fine’,you can add something like, 'I am great but a little nervous as I’m at an interview for a company I admire'. One common question that you will encounter at all interviews is, 'what is best quality in you'. This question will be put forth in different ways e.g. why do you think you are the perfect fit for this company/ how will you be an asset to this company.These kind of questions need clear-cut answers. You need to say it loud what you excel at. For instance: I am excellent at multi-tasking. The verbs you can use here are planning, managing, organizing, coaching, etc. Honestly, none of us like to discuss our weaknesses, but yes we all have some. You need to perfect this answer as most English learners come across fumbling for words when asked about their weakness. Most often, our weakness is related to our strength.Always present your weakness in such a way that it depicts your strength For instance, if your strength is that you are very detail oriented, you can state a weakness as - 'I miss the deadlines at times since I am so preoccupied with each minute detail but I am working on this and making sure that I complete my target effectively on time'. Make sure to use adverbs of frequency like sometimes, at times when replying to a complex question. For instance, sometimes, I lose my cool when my subordinates don’t complete the delegated roles. To pass an interview with flying colors, you need to communicate with confidence. These tips above will help you make a worthy impression, but you have to ultimately impress the interviewer with your goal-oriented approach. You need to speak in fluent English and convince the other party that you crave to be successful. You may be asked a question like where do you see yourself in five years? To this, a possible answer could be: I aim to manage a large team of software professionals who work together to achieve goals. Confidence is your ultimate tool to pass any interview. Research about the company and the industry before you head for an interview. All the best!